As consumers we have a direct impact on our economy and our society. Every dollar spent on a purchase from a Certified B Corp is a vote to support companies that are balancing purpose and profit by working towards sustainable, ethical, environmentally friendly business practices. So, we decided to highlight some amazing companies you can shop at year round that we are proud to share the B Corp certification with. As one CauseLabber said, Bombas socks “are like a hug for your feet.” For every pair sold, Bombas donates one pair to organizations that help people experiencing homelessness. They’ve engineered a special sock specifically for those donations that doesn’t need to be washed as often and stands up to more frequent use. They’ve made holiday gifting super easy with gift boxes of four pairs of socks for women, men, and kids, which means less time choosing socks and more time having fun. 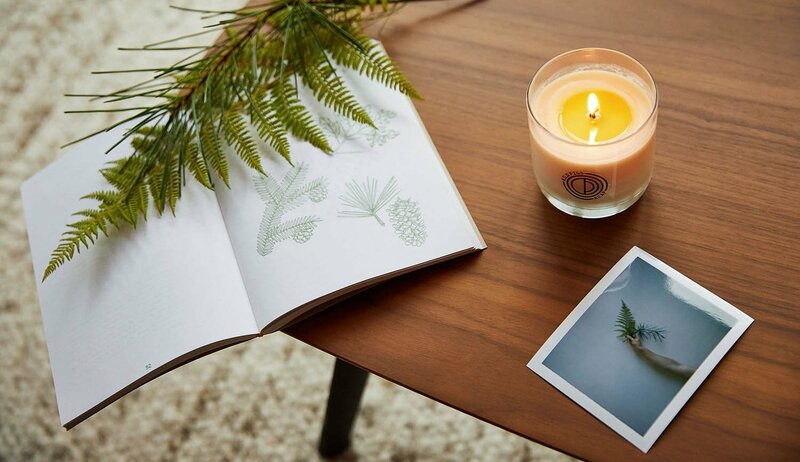 The homepage of Keap’s website invites you to “start a scent journey,” and then kindly acts as your olfactory tour guide through their many fragranced candles. Will you take a stroll through a citrus grove with bright Grapefruit + Yuzu? Or snuggle up on a snowy night with Wood Cabin? Whatever you choose, Keap donates 25% of their net profitsto SolarAid, an organization that distributes solar lights to social entrepreneurs in areas where kerosene and other dangerous substances are used to light homes. Patagonia, also known fondly as “Patagucci,” is an industry leader in corporate responsibility and an outdoor gear staple. This year their gift recommendations are conveniently sorted by sport, so whether you’re trying to find a fly fishing vest with approximately 1 billion pockets or a stylish rashguard, they’ve got you covered. Get a taste of what life is like as Oprah in one of Yellow Leaf’s amazingly comfortable, handmade hammocks (they were on her list of favorite things in 2017!). Hand woven by artisans in rural Thailand, Yellow Leaf’s hammocks give the communities that produce them a chance to “break the cycle of extreme poverty” by creating sustainable jobs. They offer free shipping in the US with options for expedited delivery, so you can be chilling in the trees in no time. ‍Unfair labor practices and environmentally harmful practices have almost become standard in clothing production. Accompany is hoping to change that by only selling ethically sourced items from areas where increased commercialism has led to fewer people learning traditional crafting practices, like the towns in Peru where the art of hand knitting is being lost. Unlike most of the items you’ll find at a mall, every piece has a story behind it, like these upcycled brass statement earrings made by women in Kenya or this cozy robe handwoven in Turkey. Usually, a belt would sound like a boring gift. But Jelt has turned this accessory that is usually more function than fashion into a must have for everyone. Every part of their belts, from the material (recycled plastic, rubber, and nylon) to the manufacturing (made locally in Montana, with some of the work going to incarcerated women who are able to learn skills and earn a fair wage), to the design (waterproof, able to hold up pants without loops) is carefully thought out. Get one as a gift, and one for yourself to avoid the inevitable jealousy when your giftee can’t stop raving about it. ‍Founded on the premise of transparent beauty, White and Elm creates all of their cruelty free, vegan products in-house to make sure that what you’re putting on your skin is as good for you as what you put in your body. Their facial starter kit is a great way to sample their recommended daily routine, and their masks (which feature amazing ingredients like spirulina for nourishing or activated charcoal for pore cleansing) are a lovely little luxury for any of the faces in your life. The Amazon rainforest has seen better days. Deforestation has threatened the many people, animals, and plants that call it home. Teadora Beauty is hoping to change that by collaborating with organizations that are working to protect this priceless part of Earth. Their products feature sustainably harvested superfruits from the Amazon rainforest, like their Brazilian Acai Superfruit Scrub and Copaiba Sensitive Skin Oil. If you can’t decide on one item for a gift, they have a great selection of gift sets, some of which come with a beautiful toiletry bag designed by the Kayapo tribe, one of the most active groups in the work to save the rainforest. If none of these sound like the right gift for the choosier people in your life, check out the Certified B Corporation directory for more ways to vote with your dollar!